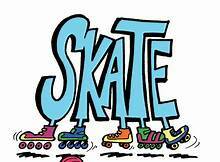 Cost: $6.50 per person who would like to skate, have a slice of pizza, and a drink. $4.50 for anyone who wants to just skate. Pay at the door when you arrive. If you have any questions, please feel free to contact me at jenbohan77@gmail.com. Hope to see you there! !